Native American studies in one of my favorite units to teach in 5th grade. Instead of just reading the five lessons in the book and taking the test, we take our time learning about the different regions and the Indians who made their homes there. I assign groups to complete a Native American Region Banner Project and we watch fabulous videos on UnitedStreaming for each region. 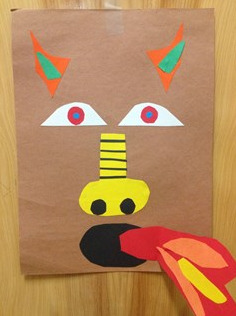 However, one of my favorite parts of this unit is when my students create their part of the classroom Totem Pole! 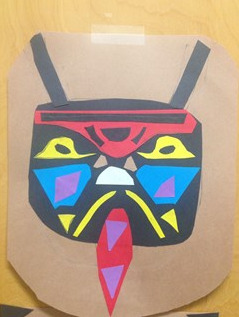 During the unit study, totem poles are briefly touched upon and many students (if not all!) have heard of them before. As an introduction to the art project, I show the following video just to give them a little bit more of a background on them. However, there are dozens of great videos to choose from on YouTube. 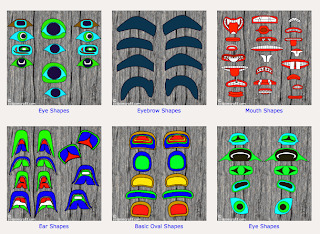 After we watch the video, I direct my students to the following website, Native American Totems and Their Meanings, in which they read about animals and their meanings. They get to read through all the different animals and choose which one they best think represents who they are. Afterwards, we talk about the basic designs of totem poles and how eyes, noses, mouths, etc aren't traditional in what we think of but how certain shapes are used. 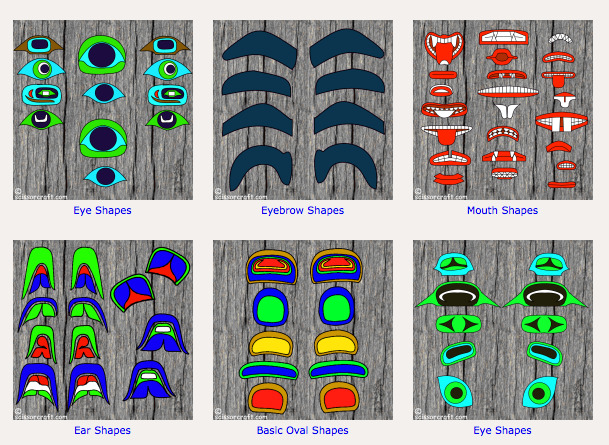 In years past, I would print out different sheets from this website that showed sample mouths, eyes, etc. This year since we have 1:1 iPads, I provided them the link and they were able to check them out. 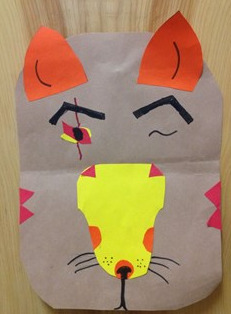 I provided each students a piece of brown construction paper and the only directions they were given was to create their totem animal using the brightly colored paper I had by creating a collage. 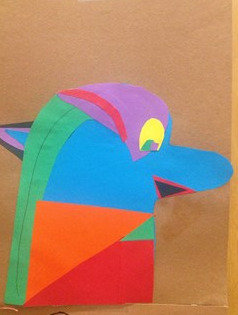 Drawing was not allowed but the shapes had to be made with cutting out pieces from paper. 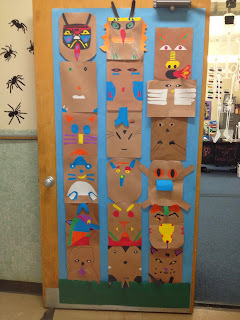 After each student created their totem animal, I stacked them together to create a totem pole. 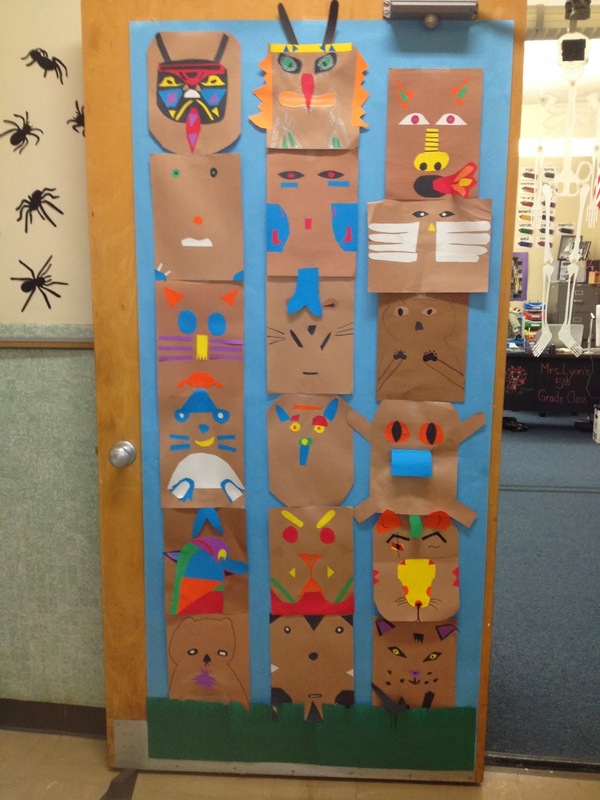 :-) Students get a kick out of seeing our classroom totem pole. What type of activities do you do for Native Americans?